There were 600 ships registered in the Norwegian International Ship Register (NIS) by the end of January, making the highest number of ships in the register since 2008. The ship register had been characterized by decline until 2015; there were 522 ships in the NIS in 2014. In order to reverse the negative trend, the Norwegian government presented several measures as tpart of its maritime strategy that, among other things, relaxed the trade area restrictions for NIS-registered ships and strengthened the grant scheme for the employment of Norwegian seafarers. Can You Farm Fish Inside a Cargo Ship? The world’s biggest Atlantic salmon producer wants to start farming fish inside a ship – and the idea has merit, says a report in IOL. Building traditional fish farms on the open water in Norway has become almost impossible because of state rules intended to curb outbreaks of sea lice, a parasite that can kill young fish. So raising salmon inside an unwanted cargo ship is one of a few options proposed by Marine Harvest ASA, which is trying to boost production at a time when prices are near a record high. Gassco has commissioned Knutsen OAS Shipping and Larvik Shipping to study transport of CO2 by ship in connection with the Norwegian government’s full-scale project for managing this greenhouse gas. In cooperation with Gassnova, Gassco has earlier studied CO2 handling chains. “The transport study will help to ensure that the government’s ambition of realising at least one full-scale CO2 facility by 2020 can be met,” says Gassco CEO Frode Leversund. The CO2 chain is being addressed by industrial players. On 12 December the world’s leaders agreed on an ambitious plan to address climate change. Statoil welcomes the agreement and is well positioned to play our part in the transition to a low carbon future. 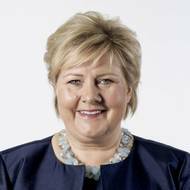 “Statoil has called for an effective international climate agreement. We appreciate the huge effort the French leadership, the Norwegian government and all the countries involved, have put in to land this agreement”, says Bjørn Otto Sverdrup, senior vice president of Corporate Sustainability in Statoil. 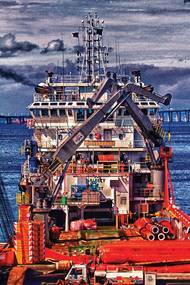 Harvey Gulf International Marine leads the charge to recapitalize offshore support assets. Where will it lead next? In the midst of a red hot offshore boom, one that arguably has its epicenter squarely in the middle of the Gulf of Mexico, everyone seems to be busy: shipbuilders, operators, OEM vendors – everyone. Scores of new offshore assets are on the way. As it unfolds, three U.S.-based offshore support providers are pouring hundreds of millions of dollars into fleet and infrastructure renewals. Both Rosneft and Lukoil have secured license rights to blocks issued by the Norwegian government in Arctic waters. The massive opening of the Barents Sea for the oil industry includes invitations to Russia’s two powerful Russian petroleum companies, the first ever Russian companies on the Norwegian shelf, reports the 'Barents Observer'. Citing an announcement made by Minister of Petroleum and Energy Ola Borten Boe, Barents Observer says that Rosneft and its Norwegian subsidiary RN Nordic gets 20 percent of one license in the Barents Sea. Maersk Drilling receives two-year term extension for newbuild jack-up rig 'XL Enhanced 2'. Det Norske Oljeselskap ASA (Det norske) has on behalf of the partners in the Ivar Aasen project, exercised its contractual right to extend the contract for the newbuild ultra harsh environment jack-up, XL Enhanced 2, by two years. Consequently, the duration of the firm contract is now five years. The estimated value of the two-year contract extension is approximately USD 280 million, bringing the total estimated contract value to approximately USD 700 million. Algerian authorities carried out a military operation today against the hostage takers at the In Amenas plant. Statoil confirmed yesterday that five of its 17 employees were safe. Today an additional three Algerian employees are also confirmed to be safe. Five of the 17 Statoil employees involved in the hostage situation at the In Amenas gas facility have been safe since yesterday. They are now on their way to Norway. In addition, Statoil and BP have decided to bring non-critical personnel from our two other plants in Algeria – In Salah and Hassi Mouina – out of the area and home again. Classification society DNV has been designated as a 'Recognized Organization' by the Japanese government. A year ago Nippon Kaiji Kyokai (ClassNK) was similarly designated as a 'Recognised Organisation' by the Norwegian government and was granted delegated responsibility for statutory surveys and permission to issue statutory certificates. The agreement authorized ClassNK to examine compliance to various treaties of Norwegian-flagged vessels and issue certificates for ships registered under its flag. The ceremony was held at the Japanese Ministry of Land, Infrastructure, Transport and Tourism. An excavation pier around the Russian warship Murmansk that took three years to build has now been sealed, and within weeks the contractor will start the final phase of demolishing the old battleship, reports the 'Barents Observer'. On Christmas Eve 1994 the 1955-built cruiser “Murmansk” was being towed from its home port towards India for scrapping. Off the coast of Finnmark the towline of the decommissioned Russian cruiser broke and it ran ashore near the small Norwegian town of Sørvær. In 2009 the Norwegian Government decided to remove the wreck. Statoil, along with partners Eni Norway and Petoro, has made a significant oil discovery on the Skrugard prospect in the Barents Sea. The breakthrough discovery is one of the most important finds on the Norwegian continental shelf in the last decade. Statoil and its partners are in the process of concluding drilling operations on the Skrugard prospect, which is located approximately 100 kilometres north of the Snøhvit gas field in the Barents Sea. The well was drilled with the Polar Pioneer rig, and has proven gas column of 33 metres and an oil column of 90 metres. After several successful environmental projects in Lebanon, Environmental Protection Engineering S.A. (EPE SA ) recently won an international bid for offers and has been awarded a contract from the Higher Relief Commission of Lebanon (HRC) to provide oil spill cleanup services for the Lebanese coastline. The signature of the contract was held under the auspices of his Excellency Mohammad Rahal, Minister of Environment of Lebanon. Dr.Vassilios Mamaloukas-Frangoulis, Director of Marine Environment Protection Dept.